105 mins. Rated PG-13 for sequences of violence and intense action, and brief strong language. Jack Ryan has lived a lot of lives. First, there was The Hunt for Red October, where Ryan was played by Alec Baldwin. This was the first in a series of films based on Tom Clancy’s popular character. The chronology continued into Patriot Games and Clear and Present Danger, where Harrison Ford took on the Jack Ryan role. Years later, the character was revived in a reboot called The Sum of All Fears, starring Ben Affleck. Apparently, that reboot didn’t go over too well, and now Director Kenneth Branagh (1994’s Frankenstein, Thor) has revived him yet again in Jack Ryan: Shadow Recruit, a generic and somewhat cliché reboot that is sure to be rebooted yet again in a decade or so. 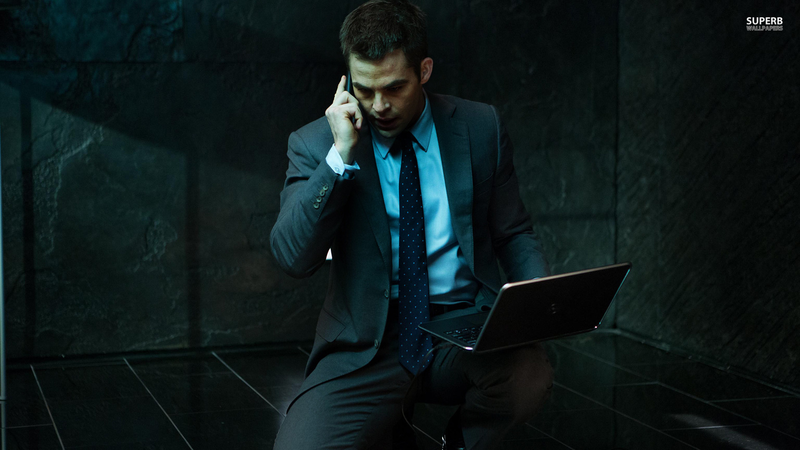 Chris Pine (Star Trek, Rise of the Guardians) is Jack Ryan this time around, and this reboot focuses heavily on his first mission and inciting character moments. 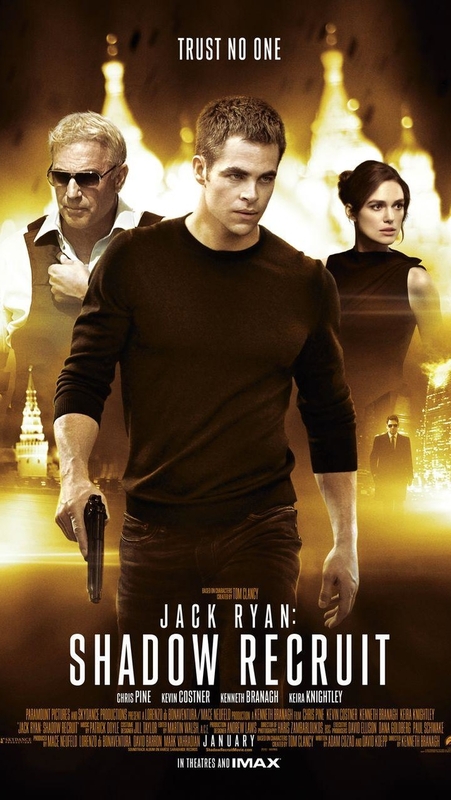 Jack is recruited by Thomas Harper (Kevin Costner, Dances With Wolves, Draft Day) to work for the CIA, complicating matters with girlfriend Cathy (Keira Knightley, Pirates of the Caribbean: The Curse of the Black Pearl, Laggies). The relationship dynamic is completely void here, and Knightley comes off like a wasted draw. I’m far more convinced by the connection between Cathy and Viktor Cheverin, the film’s central villain, played by Director Brannagh. The plot here is more suited for an hour-long spy television show from the 1960’s, and has few scenes even worthy of remembrance. Brannagh gets some nice cinematography which compliments the action set pieces nicely enough, but there just isn’t much here to go on. A beginning to a franchise this film is not, the screenplay is more like several stories weaved together, with dialogue and random character development scenes thrown in. For your money, see something with more Oomph! This just isn’t it.